Thomas Porter from Fredericksburg, VA won the 2018 Historic Half with a time of 1:13:43. Jillian Weisbeck from Fredericksburg, VA was the first femal finisher with a time of 1:28:25. 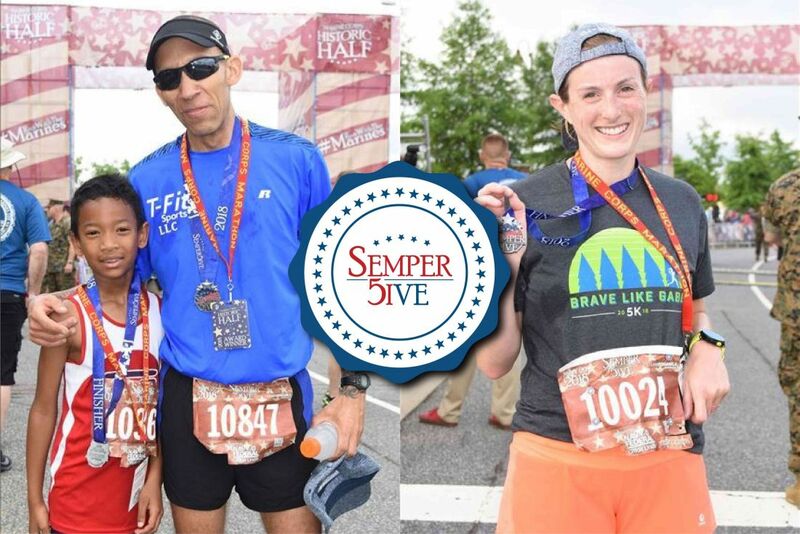 The Semper 5ive presented by Navy Federal Credit Union, was held in conjunction with the Historic Half. Randy Shelton, of North Prince George, VA, was the top finisher, completing the event in 31:29. The female runners were led by Jenna Scholz, of Alexandria, VA who won the event in 38:17. 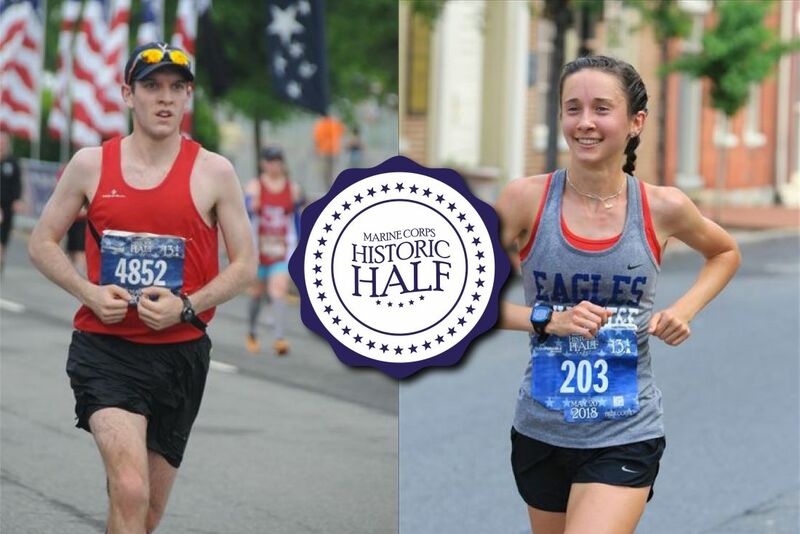 In conjunction with the Historic Half, the Devil Dog double was won by Bryce Peterson, 23, of Quantico, VA, completing the Semper 5ive portion of the course in 34:06 and Historic Half in 1:32:52. The female runners were led by Sandra Pahl, 40, of Dumfries, VA, who ran the Semper 5ive in 36:39 and Historic Half in 1:42:58. 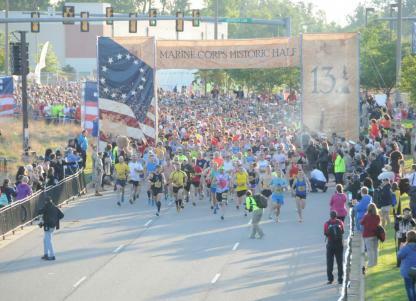 The Marine Corps Historic Half awards ceremony will be held at 9:30 a.m. on event morning at the finish line. More than 100 awards will be earned in the 13.1, Semper 5ive and Devil Dog Double events. The following awards will be presented at a special ceremony at Pohanka Nissan of Fredericksburg (5200 Jefferson Davis Hwy, Fredericksubrg, VA). Winners will be notified by email and invited to attend the age awards presentation. 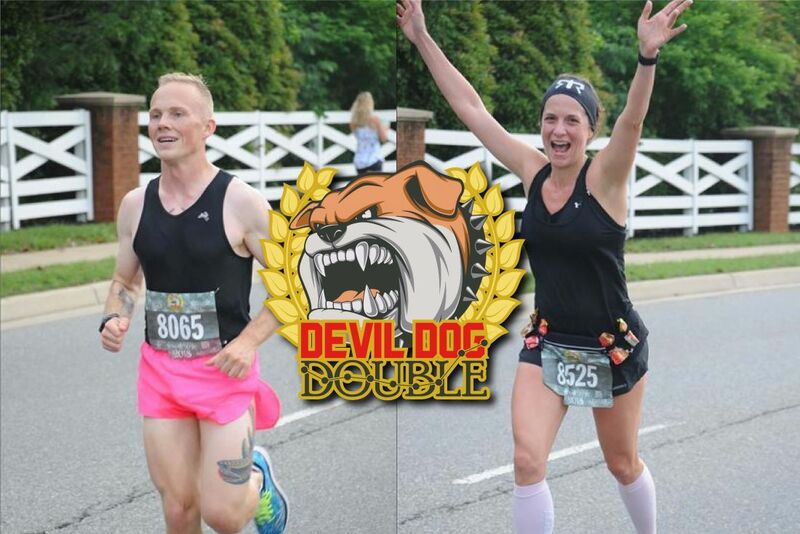 Devil Dog Double participants are not eligible for Historic Half or Semper 5ive awards. Always Advancing is the world renowned manufacturer of awards, finisher medals, athletic apparel and promotional products for endurance events. This team of experienced designers and account managers work hard to ensure that each project is handled with care and extreme attention to detail. Always Advancing's goal is to accurately capture the spirit of each event with the designs and products that they produce. Runner results, pace and place from the Marine Corps Historic Half. Great medal + Amazing crowds + Terrific weekend getaway + the Marines=an Instant Running Favorite. 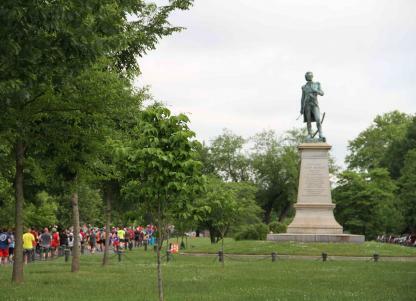 The Marine Corps Historic Half features colonial sites, a quaint downtown and the now famous Hospital Hill.